We hear it all the time - "ya, but it's no-fault insurance!". That does not mean that no one is held accountable for a car accident. Here's what it really means. In Ontario, the Government decided that claims would be dealt with using a 'no-fault' system. This has nothing to do with who caused the claim, but rather how the claim will be settled. "No-fault" means that it doesn't matter who caused the claim, your damages will be taken care of by your insurance provider. "No-Fault" has nothing to do with who caused the claim. For example, if you were sitting in your car at a red light, and are struck from behind by another vehicle who failed to stop, that driver's insurance company does not pay your new bumper, your insurance company does. The same is true if you are the person who accidentally drives into the back of another car - your company does not pay for their bumper, they would put in a claim with their company for those damages. The driver who struck the other vehicle from behind caused the accident, and will be considered at fault for the collision. Insurance companies use "Fault Determination Rules" that are outlined in the Insurance Act to determine fault. One of the benefits of "no-fault" insurance is that it's cost effective (and saves time!). No longer do victims have to wait for benefits to pay out, or their vehicle to be repaired by the party who caused the accident - now they can get the care and repairs needed by their own company. 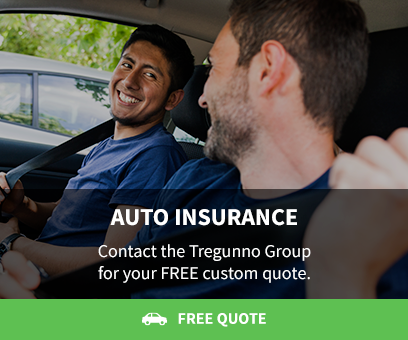 To address any further questions about fault or how claims are settled, contact a member of the Tregunno Group! The team at the Tregunno Group is available to answer all your questions!